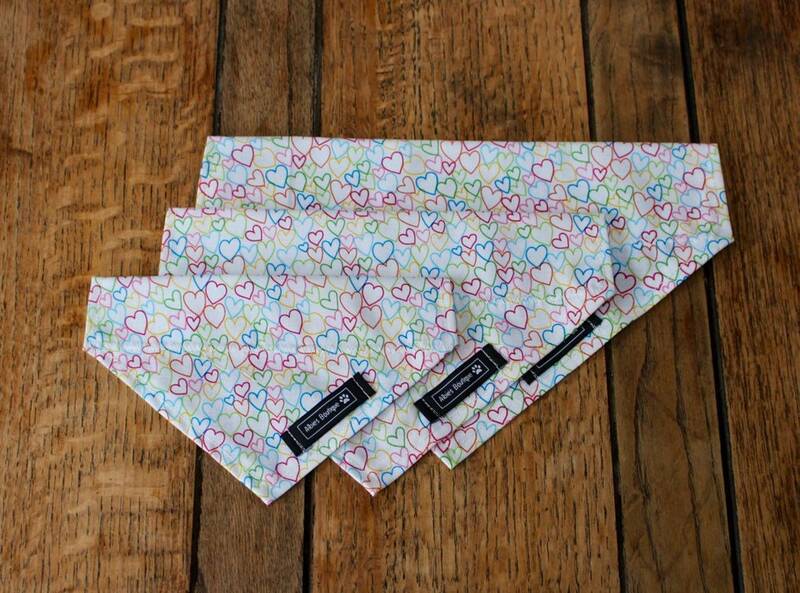 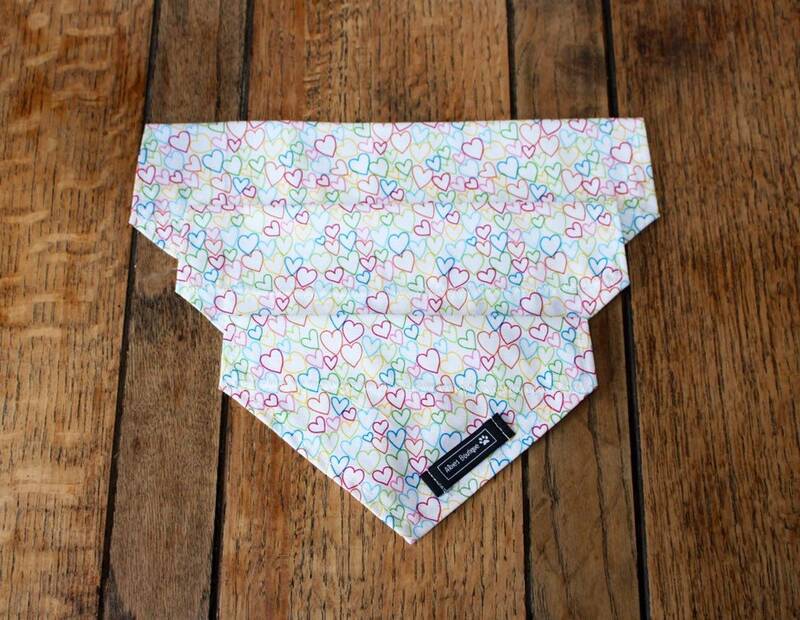 Handmade Slip Over the Collar Dog Bandana in rainbow hearts fabric. 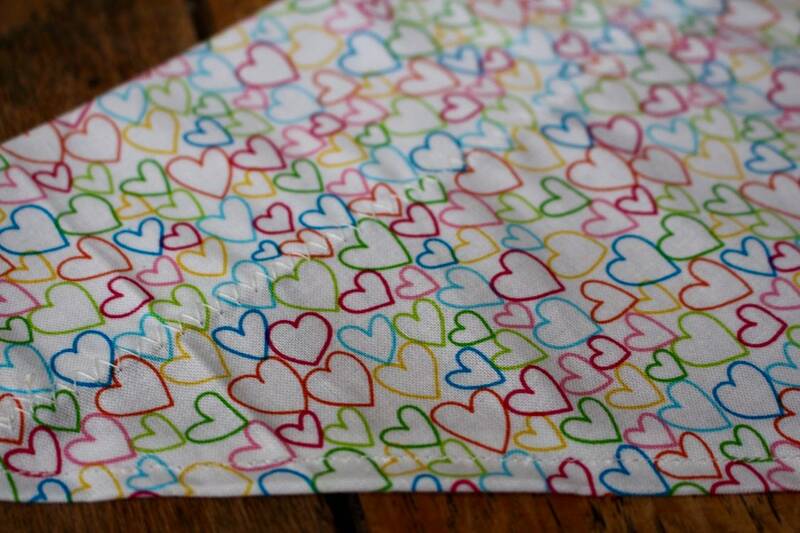 A white background sets off the beautiful rainbow hearts on this lovely design. 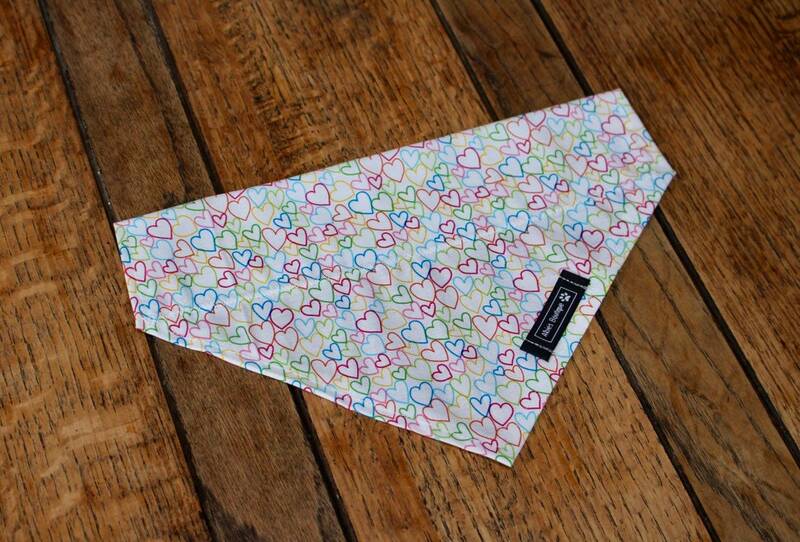 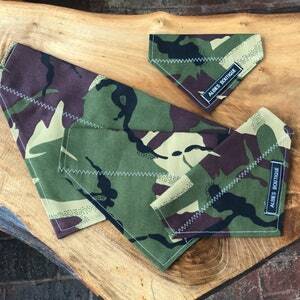 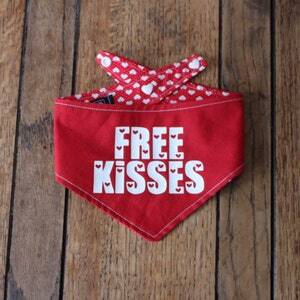 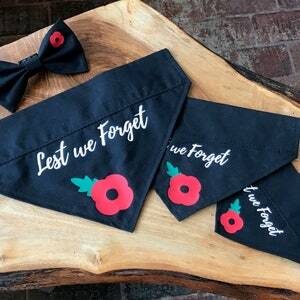 Handmade Slip Over the Collar Dog Bandana in 'its a dogs life' fabric. 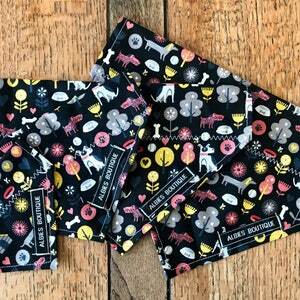 A Black background with dog themed images.